Drone. 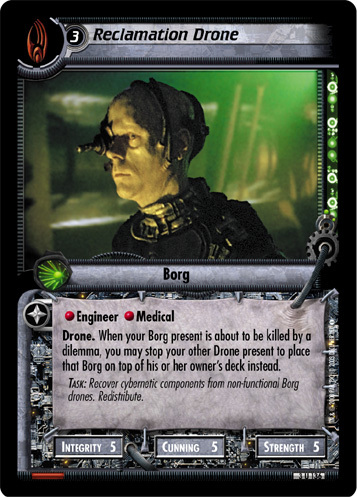 When your Borg present is about to be killed by a dilemma, you may stop your other Drone present to place that Borg on top of his or her owner's deck instead. 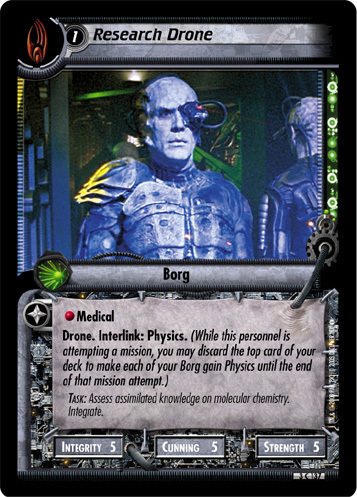 TASK: Recover cybernetic components from non-functional Borg drones. Redistribute. 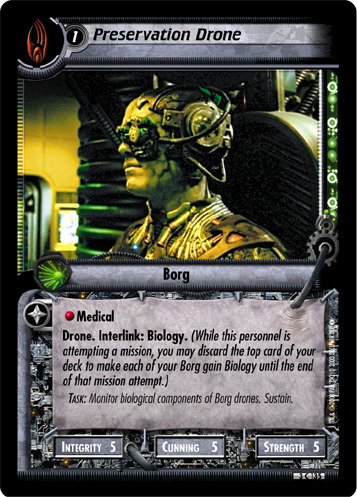 Image Source: Voyager: "Unimatrix Zero, Part I"